Sooner or later we will all realize the futility of trying to be in control of our circumstances, and we will come to understand that our life has been a total sham. Hopefully it won't be while we are on our deathbed! God, in His goodness, will give us many opportunities throughout our lives to contemplate real life, real freedom and real love. More often than not, however, we simply shrug our shoulders and go on without a second thought. This was a concept the Germans didn't realize during World War I. They wanted complete control, and complete control they had. Or so it seemed to them. They hadn't yet conquered all of Europe, but they had Belgium under their control! And though the Netherlands succeeded in shaking them off their back, the Germans continued to strive for total control. No communication was allowed between these two countries, and this was easily controlled. Or at least that's what the Germans thought when they erected a three-meter electric fence and sent 2000 volts of current between these two countries. "Ha! That will keep them away!" However in any plan designed to control someone's behavior, there is always gaps that we never considered. Ingenious Hollanders found a way around this electric fence. Or should I say "through it"! They found out that if they put a wooden barrel between the wires, they could crawl through the barrel to the other side without any consequences. Soon they were regularly smuggling mail between the two countries. Yes, the Germans thought they had the country completely in control, especially since they had a backup plan. They had German troops patrolling "the wire", or "Het draad", as they called it in Dutch. And yes once, one of these troops caught one of these pundits and shot him on the spot. But it didn't stop the communication between these two countries. Eventually the Germans realized they could not control all of their conquered countries, and World War I came to an end. They never completely gave up the idea of controlling all of Europe, however, and the entire world as well, and a mere twenty years later Hitler came into power. Fortunately for the world, he, too, had to come to the realization that total control was impossible. Broken, many of these soldiers, as well as the inhabitants of the European countries who had suffered throughout the wars, discovered a refuge in the One they considered their Shepherd. He was the One they could trust at all times, to Him they surrendered their lives. Through brokenness they discovered there is more to life than just barely living! Hope is not based on human promises, Hope based on Jesus. 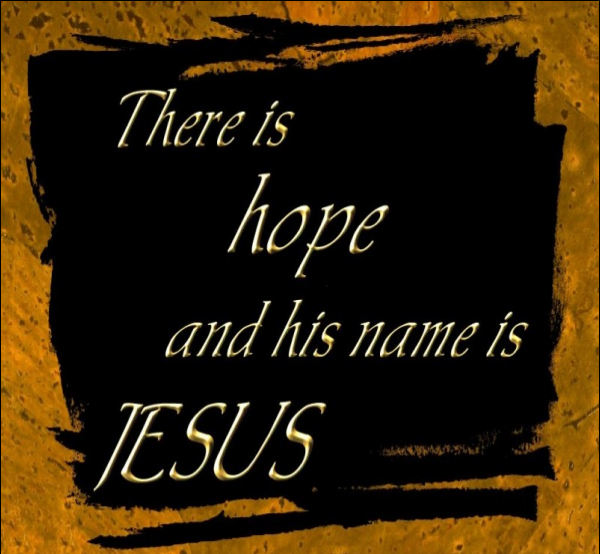 Dear Lord, we thank You that our hope, the hope of the world is based on You. Help us live our life in a matter that shows this world that You are the true hope for the world. In Jesus’ Name, Amen. Umbilical cord that is called trust. He will take care of us. Can you please forgive me? Are you living, or barely existing? Are you happy in your grievance? Are we truly alive or are we dead? How are you letting God use you today? Still has a purpose even though damaged.